Kingsley has got it all! This George Clooney-son looks splendid and has a nice, kind temprament. He has nice self-carriage and good natural outline. 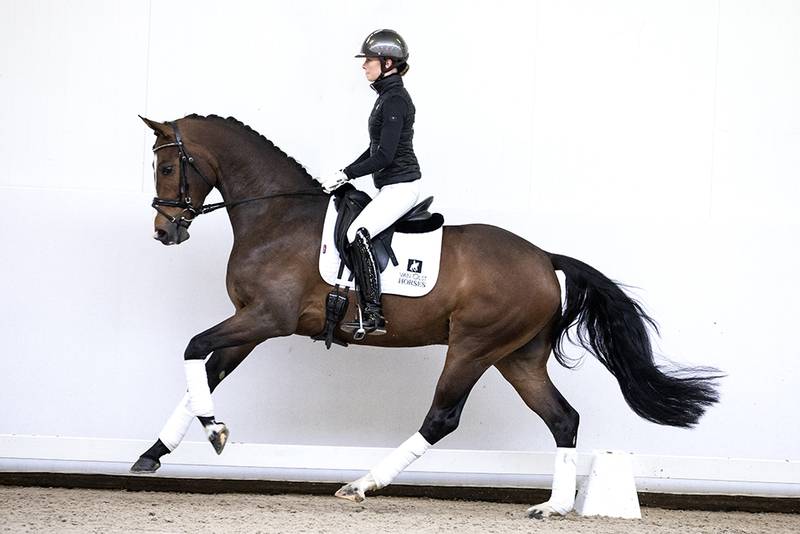 He is a horse with an exceptional future and lot of Grand Prix potential. 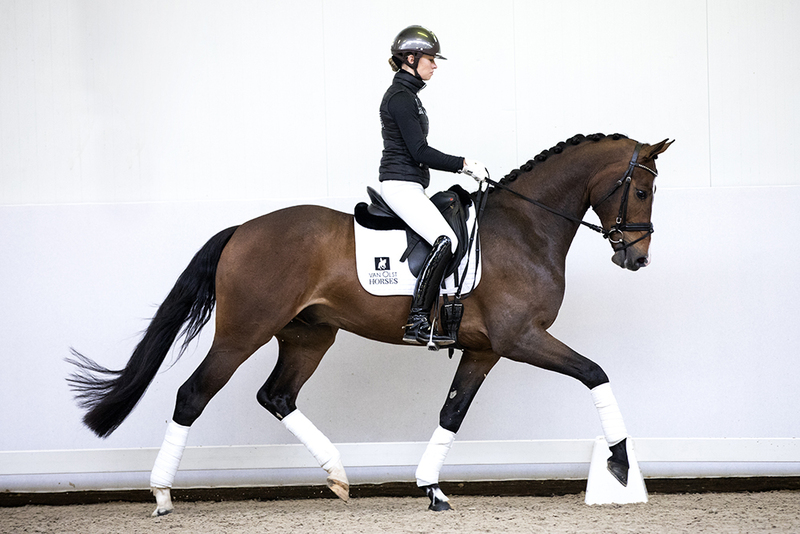 With his kind temprament and sensitivity under the saddle he is the perfect horse for a female rider. Kingsley’s dam Cinderella is also dam of the NRPS-stallion Don Joe (by Diego).